Please note, that the Third Edition will be published in May 2019! 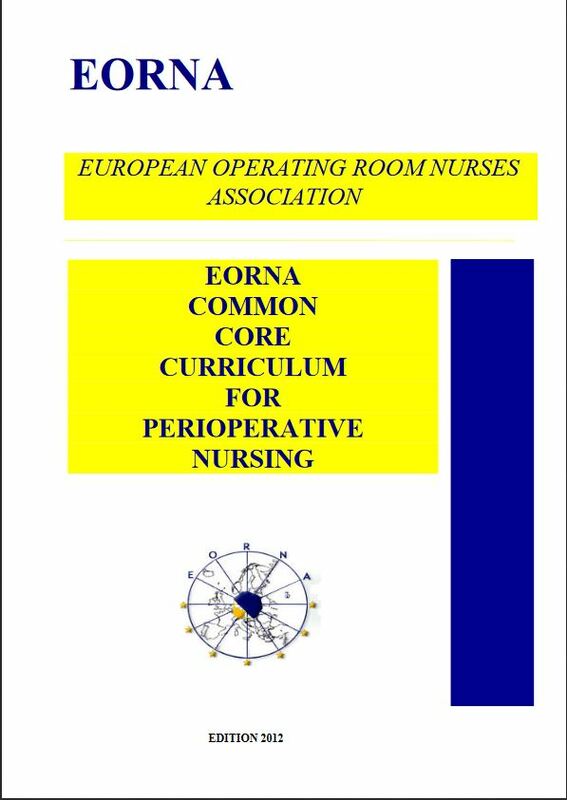 In 1997, EORNA has produced and published the first edition of the “European Common Core Curriculum for Operating Department Nursing” – a step in the direction of unifying the competencies and practices of operating room nurses within EORNA’s boundaries and preparing for the free movement of nurse specialists within the European community. The main aim of the publication is to set the scene for further works so as to guide the development of quality standards within operating departments throughout Europe. Our strong belief and basis is that operating room nursing is health promotion, prevention, rehabilitation and environmental nursing measures for patients who are in a stressful and critical situation. Operating room nursing must be planned and implemented and goal orientated based on a holistic human approach, where the individual’s physical, psychological, spiritual and social components are taken into consideration. Therefore, the intention of providing all member countries with a common core curriculum is that it should provide the essential education, which would be required by all countries when allowing a person from another country to come and work in an operating department. When a person claims to have completed the common core, the department will be aware of the level of knowledge, which can be expected of that person. In presenting the curriculum as an outline of content it is implied that theory and practice will be continuous throughout the programme with an emphasis on the application of the principles and knowledge gained from the theory to the performance of the operating department nurse’s role as a competent practitioner. It is expected that forty per cent (40%) of the courses across the entire programme will be devoted to practice.